This unique collection of 10 monologues by some of Australia's leading authors for young adults has been written specifically for senior drama students. 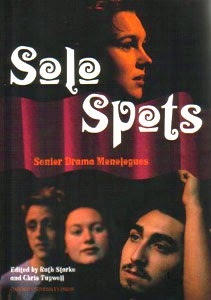 Solo Spots: Senior Drama Monologues brings together a group of compelling characters who speak in authentic Australian voices. As each monologue is of 10 to 15 minutes' duration, the collection offers an excellent body of material for performance projects.